One of the goals of the Randolph Community Forest is to share our knowledge of the Forest with residents and visitors alike. This sharing serves to explain the role of the Community Forest in our lives, highlight the traditional uses that continue on its land, and to interpret the life of the flora and fauna on the Community Forest. With this goal in mind, the Community Forest recently completed construction of a new interpretive trail. 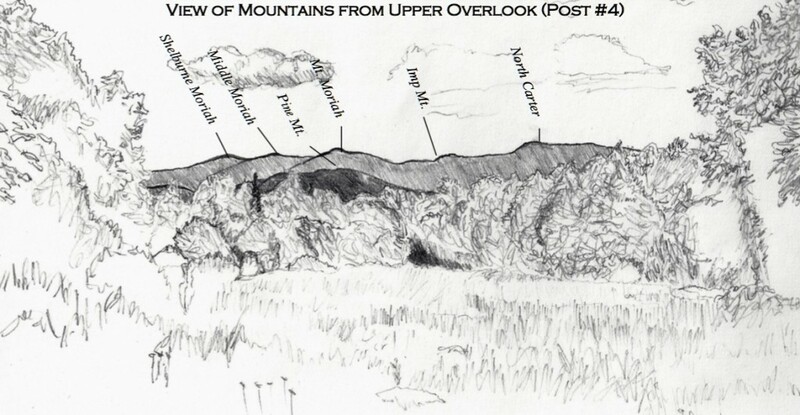 A illustration of the view from near the Mount Crescent Reservoir, in the new Community Forest Interpretive Guide. Illustration by Melissa Greenawalt. The trail, which start and ends at the new Randolph Hill trailhead, includes eight stops along three-quarters of a mile. Each stop is marked by a clearly visible, numbered post. At each post, a short topic is discussed in an accompanying interpretive guide. The subjects range from the maintenance of wildlife openings, trail work features, the lives of animals on the Forest, the great ice storm of 1998, and some of the many plants to be found along the walk. One stop, at the former Mount Crescent Water Company Reservoir, discusses the unique history of Randolph’s first and only water distribution company. Copies of the booklet can be downloaded online, and are available at the kiosk at the Community Forest trailhead. 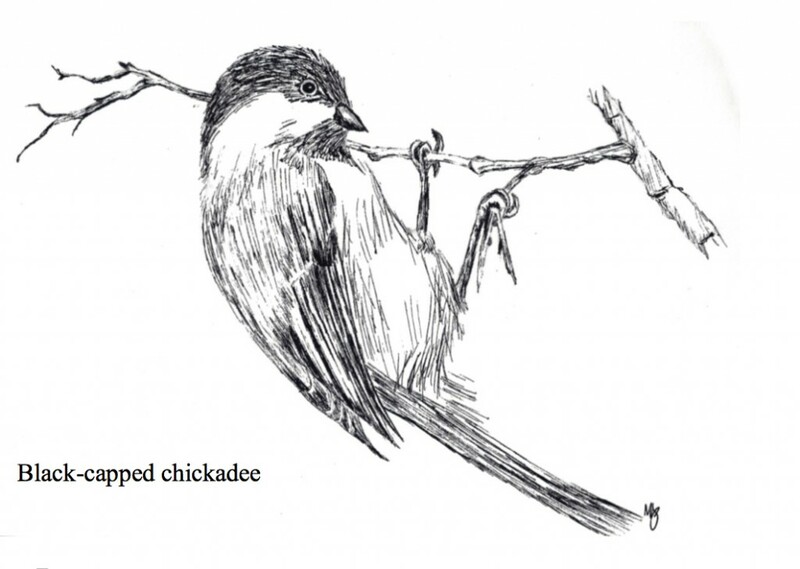 Illustration of a chickadee in the guide. Illustration by Melissa Greenawalt. The Community Forest Interpretive Trail was built by the Randolph Mountain Club, with funds from the Randolph Community Forest. Trail builders included Carl Herz and Brian Behr. The interpretive brochure was drafted and designed by Grace Garvey of Abenaki Environmental Services, with illustrations by Melissa Greenawalt. The brochure was edited by Forest Commission members Doug Mayer and John Scarinza, with input from the remaining Forest Commission members. We look forward to walkers from near and far enjoying the interpretive trail. Parents, children, school groups— all are welcome. Please let us know what you think of it! Drop us a note any time.